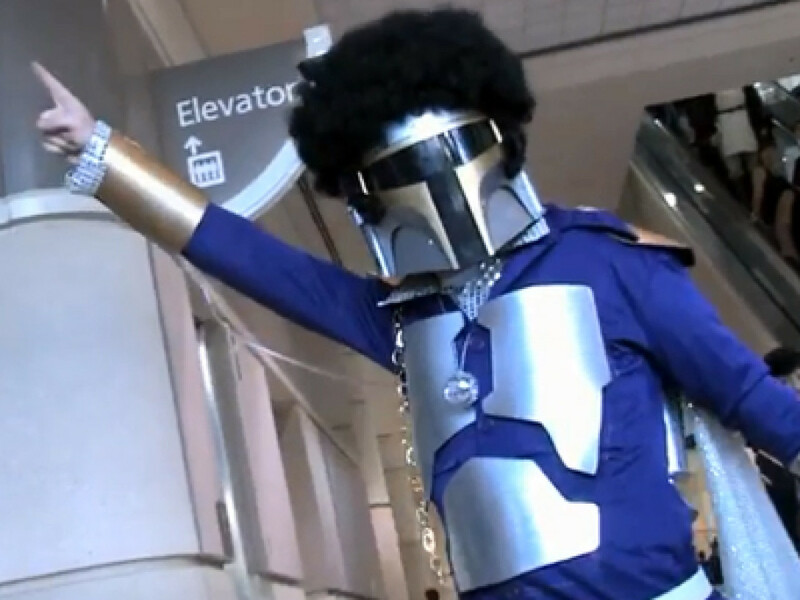 Attending a Star Wars Celebration is always a memorable occasion and Essen didn’t disappoint. 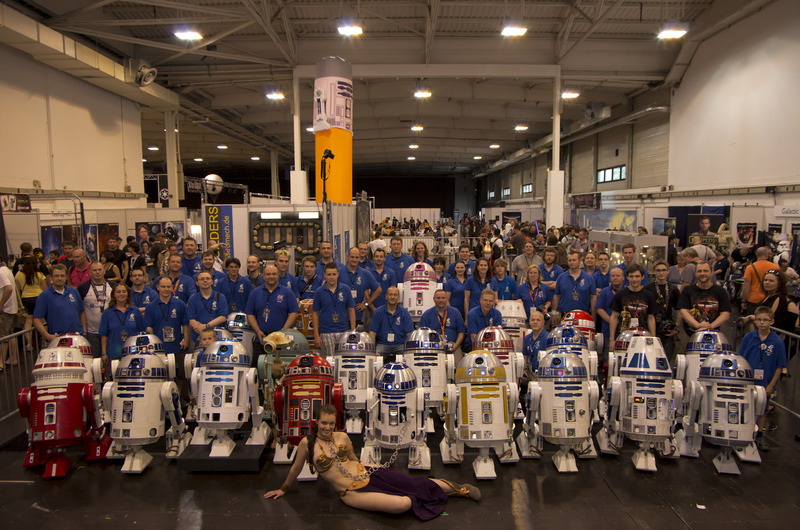 Builders gathered from all over Europe and created a new European record of 50 astromech droids, only bested worldwide by the 66 droids at C6. 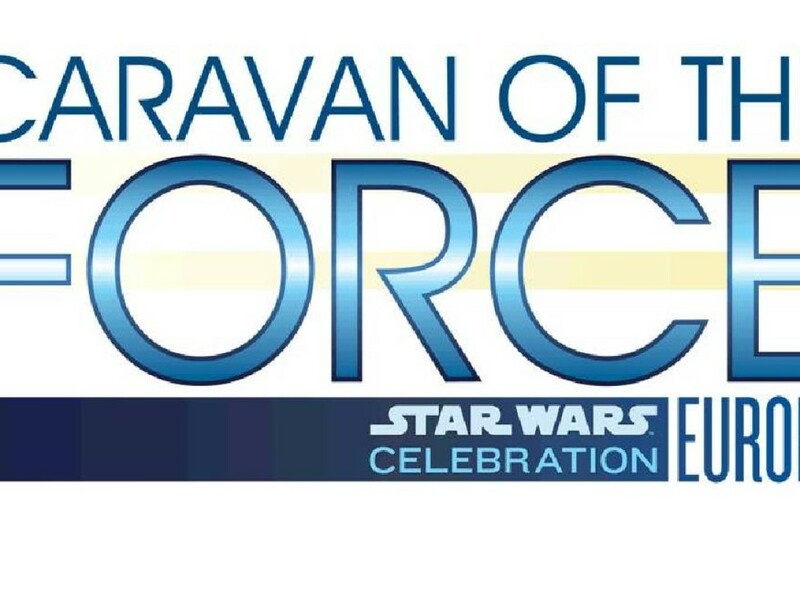 For those that didn’t attend Celebration Europe, the R2 Builders had a few surprises. 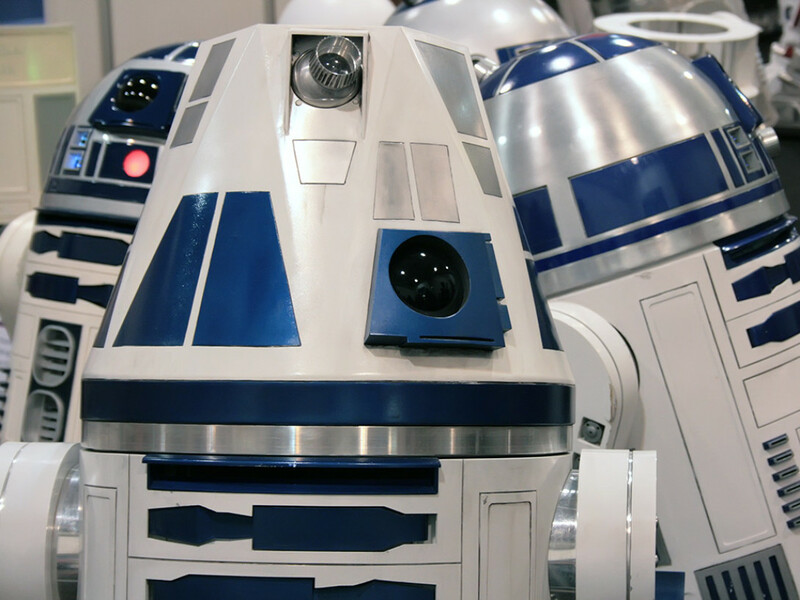 R4-CE2 was created specially to interact with Warwick Davis and guests on the main stage; its voice modulator had been upgraded to ask questions and help out when required. 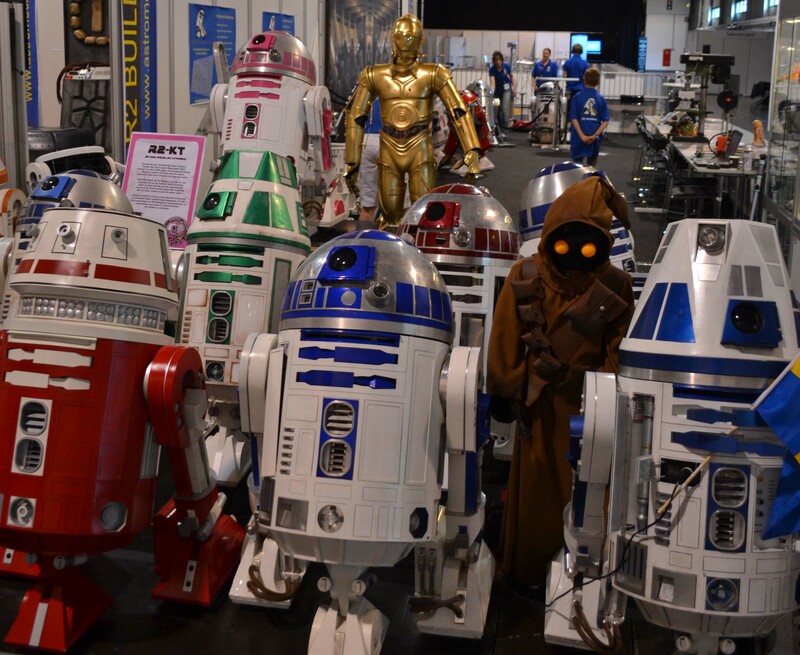 Also, R2-KT flew over from the US and took her rightful place amongst the other astromech droids at the stand. The highlight of every Celebration is meeting the fans, and it was surprising how many traveled from around the world to attend. 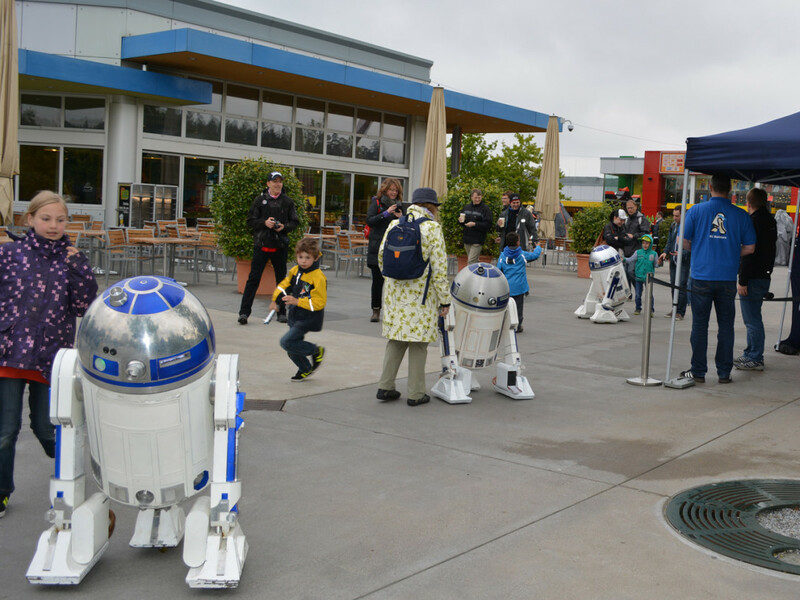 European visitors mingled with Americans, Canadians, and Japanese in their love of R2 (and Star Wars). Our stand was very popular over the three days and it was great to meet visitors, other fan groups, and the cast and crew of Star Wars. Anthony Daniels and Ben Burtt stopped by a few times to say hi, and we were very lucky to have Kathleen Kennedy visit and meet several members of the group; she was impressed and mentioned us twice during her talk on the main stage. Far more praise than we ever could have hoped for. Throughout the weekend we did three presentations: Droid Building 101, Droid Building on a Budget, and Advanced Droid Building. These were tremendously popular and packed and 80-seat room, with people being turned away. In these talks we explained the basics of why we build R2s and the complex electronics involving interfacing XBee with Arduino controllers. 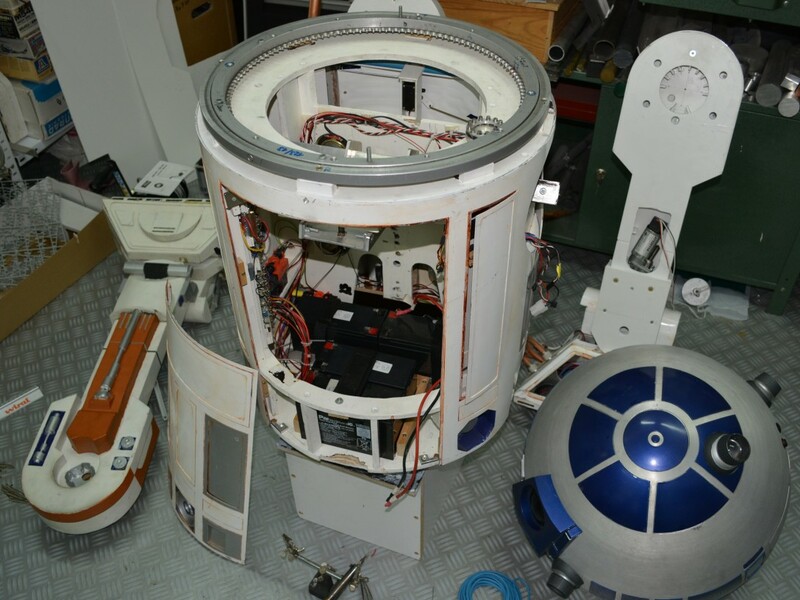 After Celebration Europe a number of prospective members have joined the club and are now on the downward spiral of building their own astromech. 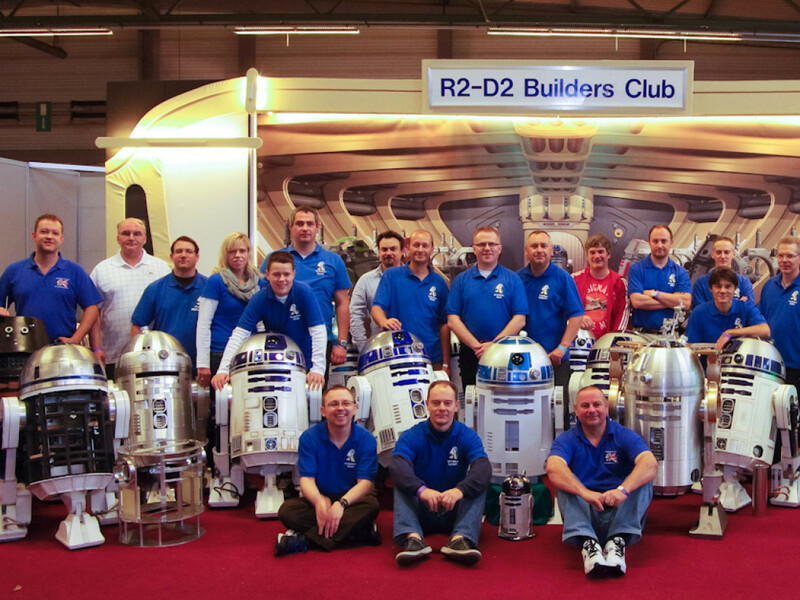 Now that Celebration Europe is over and everyone has returned to their day jobs, we take this opportunity to hand the R2-shaped baton back to the US builders. 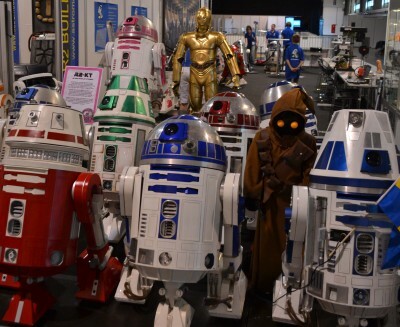 They’ve already started planning the Droid Builders area for Star Wars Celebration 2015 in Anaheim.